As a Member of BMFA, you will be aware that all clubs are required to set out details about their flying site and to clearly define all ‘flying’ and ‘dead zones’. It is the responsibility of ANY pilot (BRCMAC Club Member, guest or visitor) to fully familiarise themselves with our club flying site, flying layouts and Club Rules. 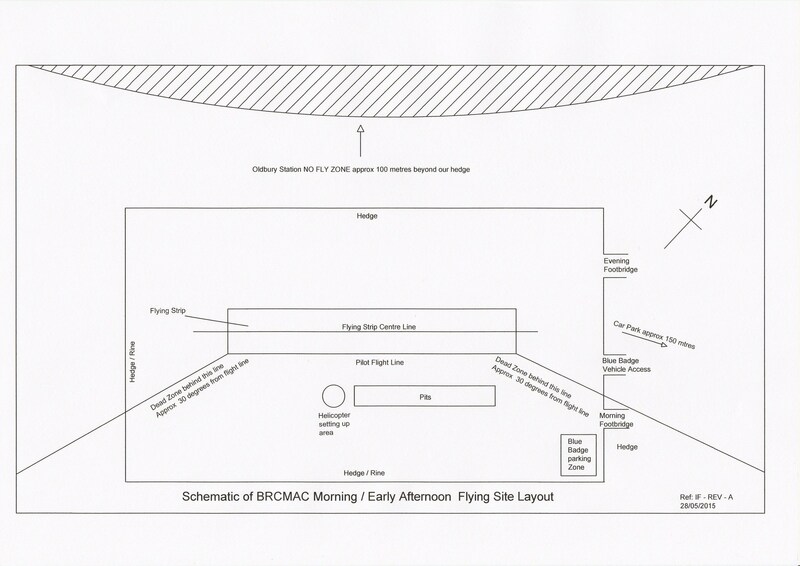 Flying is repositioned from the morning – afternoon layout to the afternoon – evening layout as the sun moves across the site.